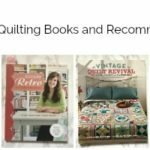 You are here: Home / quilting / Quilter’s Planner Review 2019! Hi Everyone! If you have been following me for awhile you know how much I love The Quilters Planner. This is straight up a great resource for you on so many levels! Today, I’m going to share my quilters planner review and share with you why I love it so much. There are many things to love about the quilter’s planner, but I’m going to share my 3 favorites 😉 Ready to get your own planner? Click HERE to get yours! My top favorite thing is the reference section… I look at this all.the.time and its gold. So many practical and handy tips and tricks to have at your fingertips. 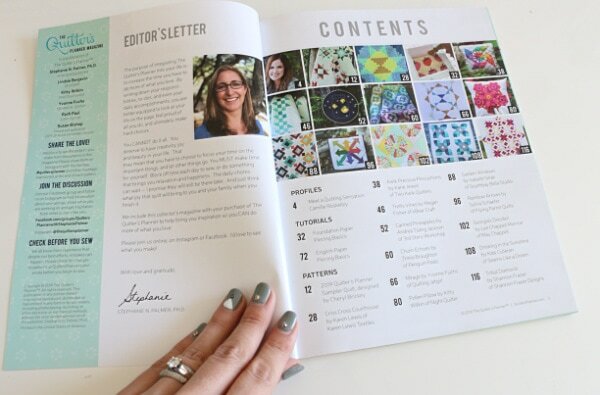 My 2nd favorite thing about the quilter’s planner is all of the independant designers who are featured and have such fun and inspiring projects included in the planner. Stephanie is the creator of the planner and has done such an amazing job with it. 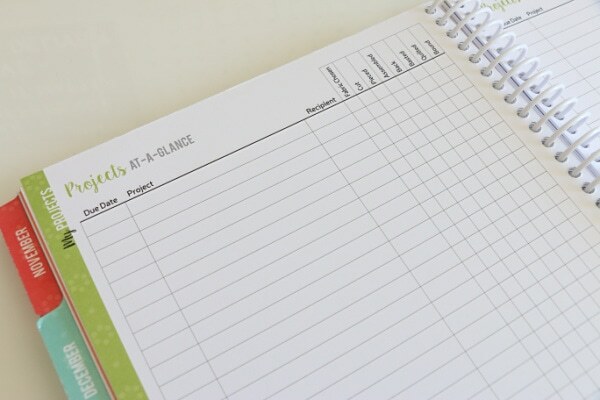 My 3rd favorite thing is the project planner and how easy it is to keep your projects organized. The weekly spread and the monthly spread are beautiful as well – it really is a great planner for the busy quilter! If you are ready to purchase your planner, make sure to do it soon because they sell out every year! Happy planning! I’s like to win this planner. Isn’t love to win. As a beginner to sewing, I’m sure this would be a valuable resource. What a fabulous planner! I would love to have one. I need a planner like this to keep me on track on my projects!!! I love your tutorials videos and patterns. I have been telling my friends to check them out!! This planner is life!!! Thanks for sharing!! I’d love to be entered! You’re videos have been one of the jump starters to my quilting journey, starting two years ago(wow). Thank you for continuing to be a helpful guide! Please enter me in the contest! Would love to win! I’d love to win this because it would help me to plan every aspect of my busy life, from finances to time management. I’d love to be entered for the planner! Thank you for the giveaway opportunity and all you give to help the creative community! I love all of the quilts you make, and I have needed some help in getting my projects organized. This is such a helpful resource! Love your tutorials! Love your classes! Would love to have the planner! Please enter me in the drawing. I am a beginner and am crocheting a variety of items for the homeless in my community. I’m sure I can learn a lot and I can use all the help I can get! Your videos are the best! Thank you so much! Yes I would love this planner!!! As a beginner quilter what a great way to stay organized!! Melanie, thank you for such a generous giveaway! A planner is such a great idea for the sewing room and guilds. I’d like to be entered for a chance to win. Entering this fabulous giveaway! 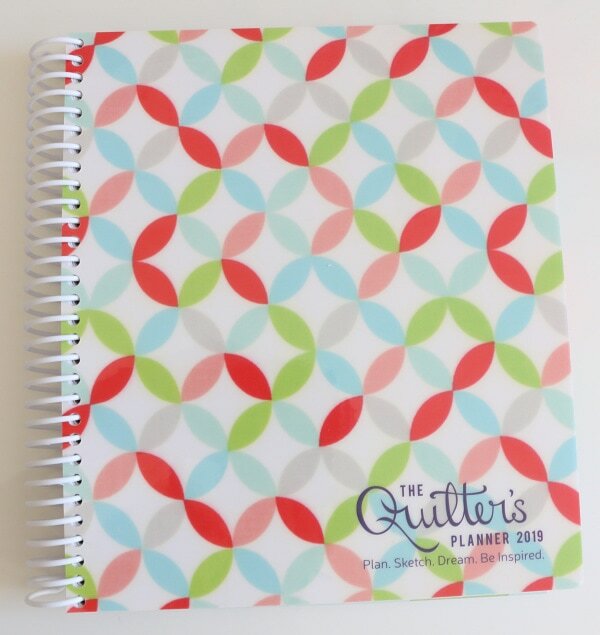 Would love to win this great quilter’s planner! I would love to be entered into this givewaway! That planner looks amazing! What a lovely gesture to give away a prize like this. Very useful tools. Please enter me in the give away. Planners make tasks easier to keep up with what you have to do each day. Thank you. I would love to win! I’m new to sewing and it would help me so much! Im new to quilting. Id love to win! I have enjoyed your sessions. You are so upbeat! I love how you are so positive on new quilters. I would love a Quilter’s Planner!! I would absolutely love this planner! 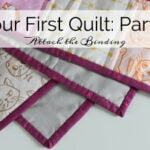 I am a fairly new quilter and this would be such an awesome resource to have to start my 2019 projects!! Thanks for sharing your work with us. This looks like a. Great wa to get organized for next year. I would love to win this planner. 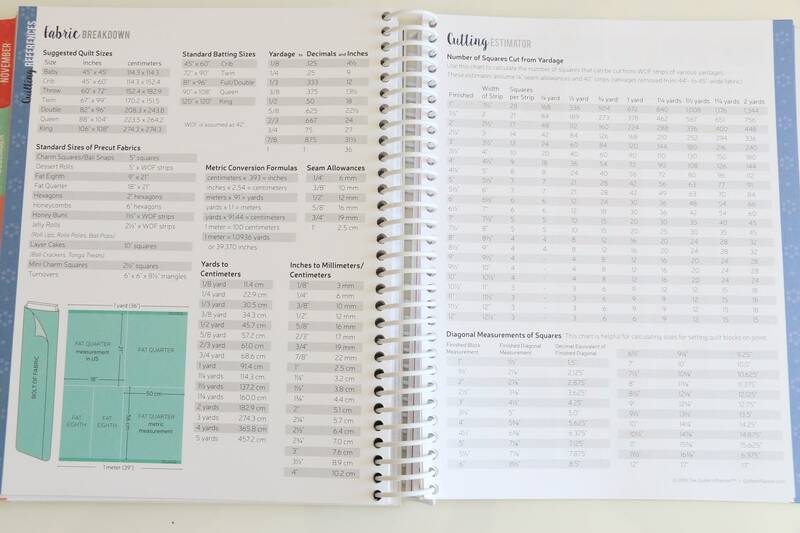 I am a production planner for a manufacturing company and would love to have this planner for my quilting hobby! I would love to win this planner. I’m a beginner and can use all the help I can get. I would love to win this planner. I’ve purchased this planner in the past and it is great. What a treat it would be to win one this year! Thanks for the opportunity! I’d like to be entered. Melanie, thanks for all that you share, Ive been a fan for a while and still get so excited about your YT videos. I’d love to be entered for a chance to with this planner. Thanks!! I’d love to be entered! Thank you for all you do! I would like to be entered for the giveaway. Thanks! Would love a chance to win, porfa! This is great! Please enter me in your giveaway. I would like to be entered in the contest for this handy planner. I want you to know that I am nearly finished making 3 KING sized quilts for my adult children for Christmas gifts. I gained confidence and knowledge in making these all by watching your fabulous tutorials. Yeah, I’m a quilter!!! Thank you! I would be so grateful to win this planner! I couldn’t afford one this year. I love her planner and all of the resources and patterns. Thank you Melanie for a chance to win! Please enter me! This seems like a great way to set some goals and stick to it! Looking forward to another great year of quilting! Love it. What a great way to start the new year….organized!! I would absolutely LOVE this planner!! !😍 Please enter me Melanie!! I would love to win this awesome planner! I’d love to win this planner. I would love to be entered into the giveaway! I’ve never thought of using a planner but this looks so great. Always wanted to get one of these. Would love this. ..great give away. I’d love to have the planner. I just joined your Modern log quilt course. This would be wonderful whilyi wait for the fabric to arrive! I’d love to win! What an awesome give away! Great giveaway! Thanks for letting me enter. Oh what a cool giveaway!! Yes please enter me in this! Love all your tutorials and posts. Thanks Melanie! Ugh I fell for the sweepstakes ad on here first before I saw to comment below. I was wondering why it was so ridiculous to try and enter! But officially entering now!! I want to be entered ! 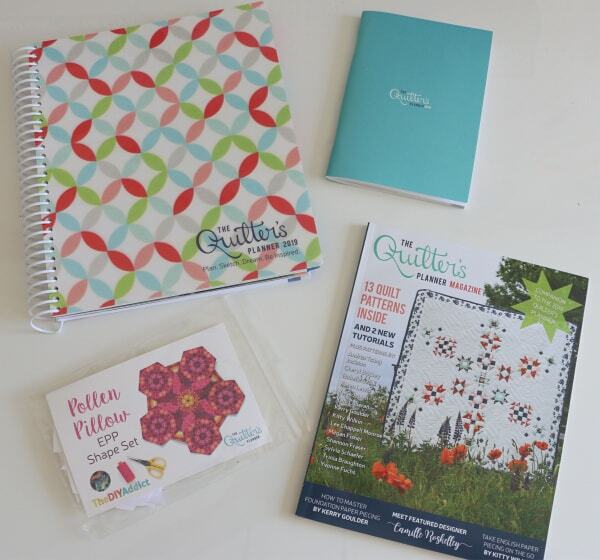 I would love to win the quilters planner!! Such a great planner, sign me up!! I have this past years planner and have used it up! I’d love to get the new one. Thanks, Melanie! Great giveaway! This single quilting Mama would love to be entered. Thanks! I’m a new quilter and would love to use this!! I need a way to organize all the amazing projects I keep starting and not finishing. I would love to win this great giveaway. Hi Melanie, I love your videos. 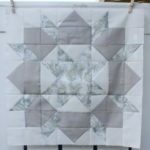 I’m a new quilter & need all the help I can get. I would love to win The Quilters Planner. I’m an organizational item addict! Having this would be so handy! Hoping to get a new machine for Christmas so I can really get some projects going! I want to be entered!! This would be perfect for managing everything on my Pinterest board for the new year!! Hi, Melanie! I would love to be entered in your giveaway. I really like your recent tutorials on quilt making. I am teaching family members to sew and it’ s very helpful series! My mom would LOVE this so I’m entering for her – yAy! I am just learning to quilt & your tutorials have helped me so much! Thank you! I would love to be entered into the Planner give-away! I would love a planner. I was just talking to my Grandmother about my different stages of projects. I feel so unorganized with them. I’d like to enter your giveaway. Thank you. I’m Jenniffer and I’d love to be entered in the giveaway. Sewing while slowly losing my eyesight has been challenging but with strict organization I’ve been able to sew daily. I would like to enter. Thank you for all you do. Hello, My name is Madison and I twelve years old. I love your videos and projects!!! I have made a ton of them! Please enter me in your contest for the Quilters Planner. That planner is amazing! Please enter me to win it! What an awesome giveaway! Please enter me – thanks Melanie!